The whole concept of meal delivery isn’t new, but most consumers are familiar with one of the biggest names in the game, Blue Apron. 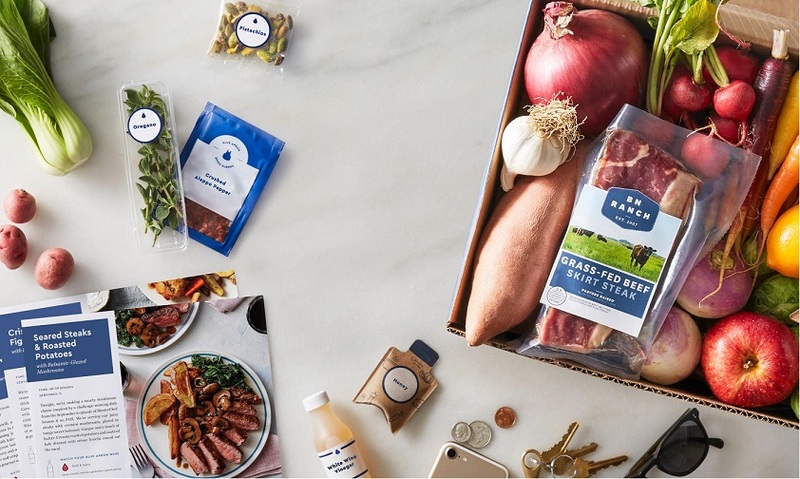 Blue Apron makes it about as simple as any of the current meal delivery services, with coverage across the United States, offering fresh ingredients several times a week to best suit your needs. When using their services, all you have to do is quickly pick your meals from their weekly menu right in the mobile app or through their website. It will be delivered in an insulated package right to your door for easy cooking that same evening. Their average meal prep times float around 30 minutes, and in our experience, even for the more inexperienced in our ranks, held true. Nothing was so complicated as to demand deep understanding or specific culinary tools. Even the most basic home cook should have very little trouble getting started in the kitchen with Blue Apron’s meals. Blue Apron also has some of the best customer service in the business. We tested the waters a bit by getting in touch to see how they would handle a variety of situations, and they knocked it out of the park. Some of the best service we’ve seen from any of the meal plan services. Sign up for their service through this link. Do we recommend Blue Apron: Yes! If you’re more into wine, Blue Apron also offers a fun program similar to their meal delivery, with weekly wine deliveries of a variety of different bottles. So if you’re looking to pair that perfect shrimp scampi with a grape adult beverage, Blue Apron offers that as an additional service as well that we found quite convenient.